This is the first of what I hope to be many of my vintage Fiestaware mug rugs. I've refined my pattern a little bit and have made this 7" x 7" mini to hold my coffee cup and a cookie or two. I experienced a happy accident while making this when I inadvertently cut my background pieces wrong side up. I decided to use them anyhow as I liked the subtlety of the the grey and white on the wrong side of the fabric as opposed to the starker black and white on the right side. I used single-fold binding to finish this quilt. For small quilts that get little to no edge wear, single fold binding suffices. It is much less bulky than double fold and adds a nice crispness to the finished piece. 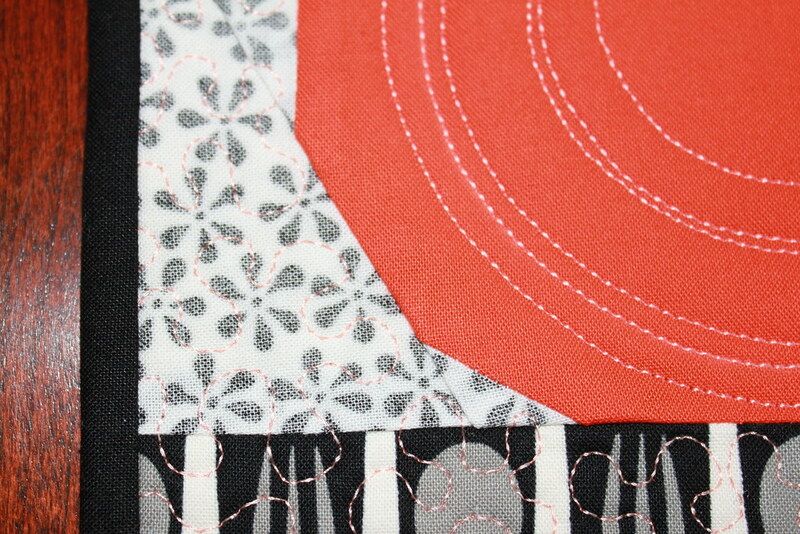 I found a great tutorial to make single fold binding on The Little Red Hen blog. Oh, it's fantastic, B! 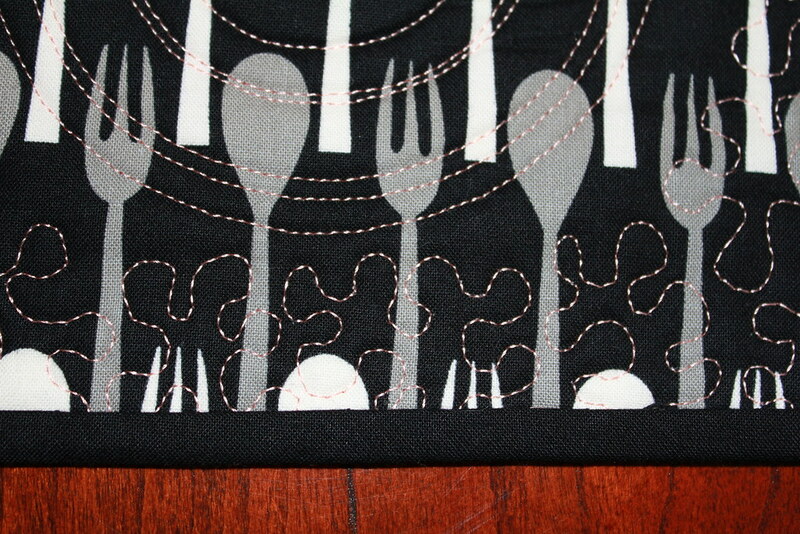 I love the prints you chose, and the grayish with black and red! And the quilting...perfect!!! 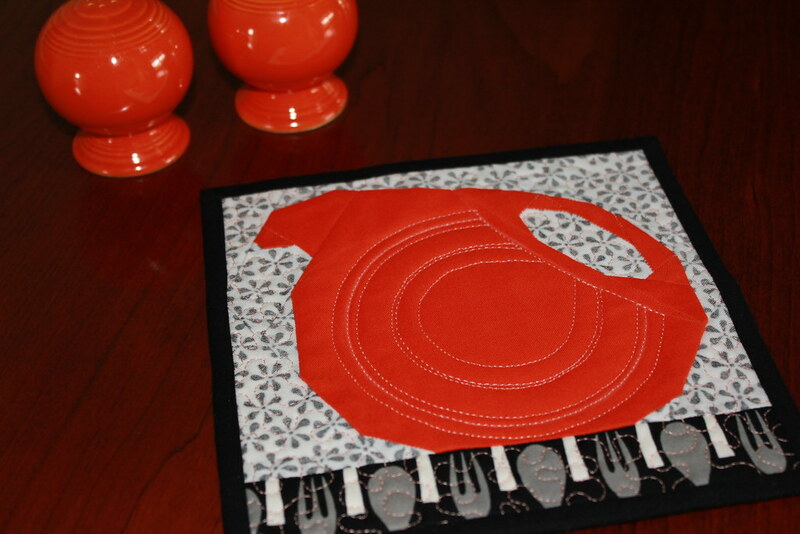 Love the quilting you did on this one! Fantastic! I love your mug rug!! I have a pitcher just like that. The colors are perfect and the quilting is superb. Love seeing all of your creations.